Sole Society - What the Chung? 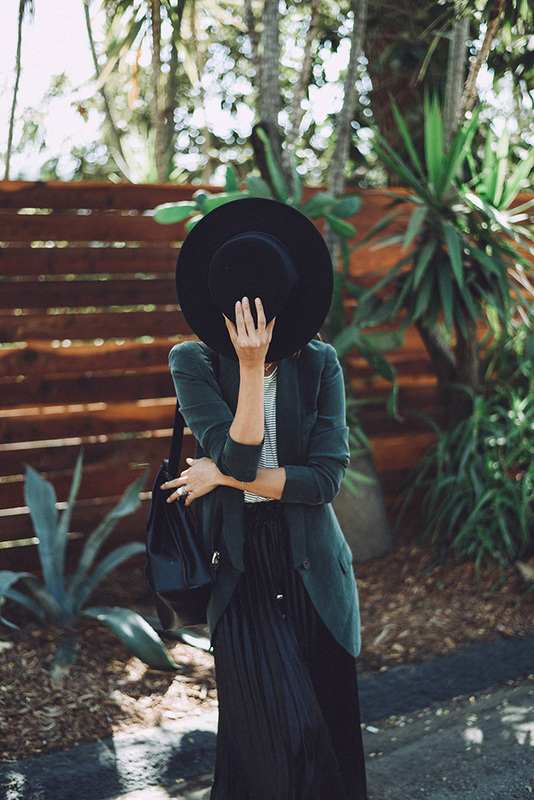 Oh the 90’s; Deeply pleated skirts, oversized blazers, backpacks and Blossom hats. But todays version of the 90’s is more sophisticated and refined. 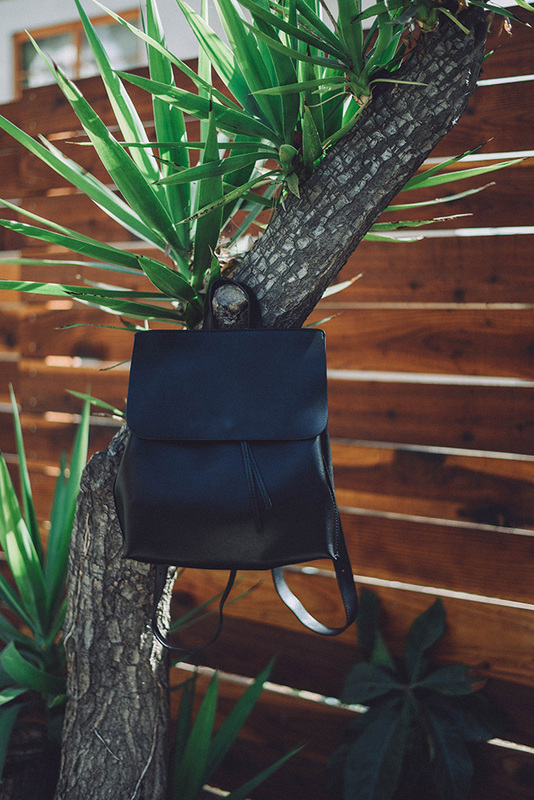 My hat, back pack and mules (all under $90) are from Sole Society. They’ve got a really great selection of accessories for the fall. They also carry some of my favorite designers. My top and pleated skirt is from Reese + Riley, they’ve extended their line and now have web exclusives. Tailored blazer by Smythe. Such a cute new 90’s reinterpreted look. Love those shoes. So cute! Love the flat mules. I don’t really like mules in heel form though because I feel like they’ll fly off haha. Your styling is perfect, as always! This is one of the most comfortable outfits I have seen so far!